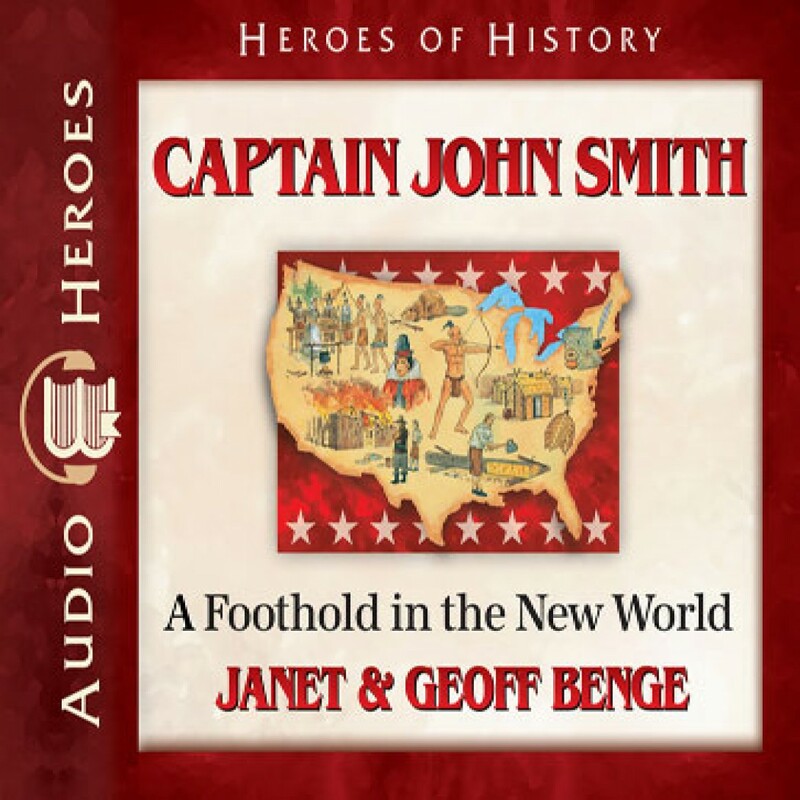 Captain John Smith by Janet Benge Audiobook Download - Christian audiobooks. Try us free. The mainsail cracked above them in the ferocious wind as a group of red-faced men descended on John. "You have brought a curse on us. Overboard with you," one of the men yelled. A chorus of cheers went up. It was the last sound John heard before he was dumped over the side of the ship and engulfed by the dark, roiling ocean." Thrown overboard, enslaved by the Turks, captured by pirates, rescued by a princess--the story of Englishman John Smith (1580-1631) would seem unbelievable were it fiction. Young John first sought adventure in Europe, traveling as far as Russia and distinguishing himself in the wars that raged across the Old World. But John Smith's real passion was for the New World, and in 1607 he sailed to North America with the men who would establish the first lasting British settlement- Jamestown. There he fought level-headedly for the policies that would enable the fragile community to survive starvation, disease, and deadly attacks to become a foothold in the New World.